I LOVE learning & crafting around the theme of Halloween! There is just so much learning that can be snuck into fun activities. Today we began talking about spiders. The Lil Divas were surprised to learn that not all spiders are web spinners and that they are NOT insects. We compared spiders to insects to understand why and then had some fun crafting. 1. Place construction paper circle in box with a few marbles. 2. Add a few drops of white paint. 3. Let child roll marbles all around box to create a web effect. 4. Put web aside and allow to dry while you move on to the Handprint Spider. 1. 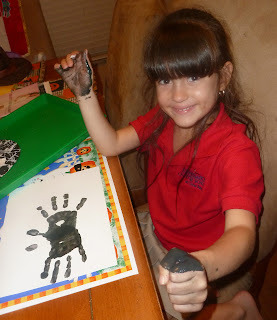 Paint child's hand using black paint and press onto white paper with thumbs spread wide apart from other fingers. 2. Repeat with other hand, pressing firmly so that the two handprints touch. 4. Add wiggly eyes. The Oldest Diva decided her spider should have 8 since we learned most spiders have 8 eyes. incorporating what the Lil Divas learned about a spider's body parts! Our web and spiders needed a bit of drying time. 1. 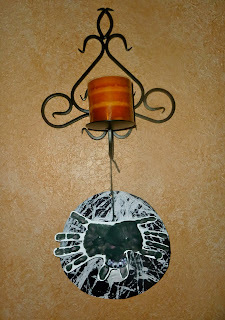 Cut out the handprint spider. 2. Attach a piece of yarn or string to the end of the spider. 4. 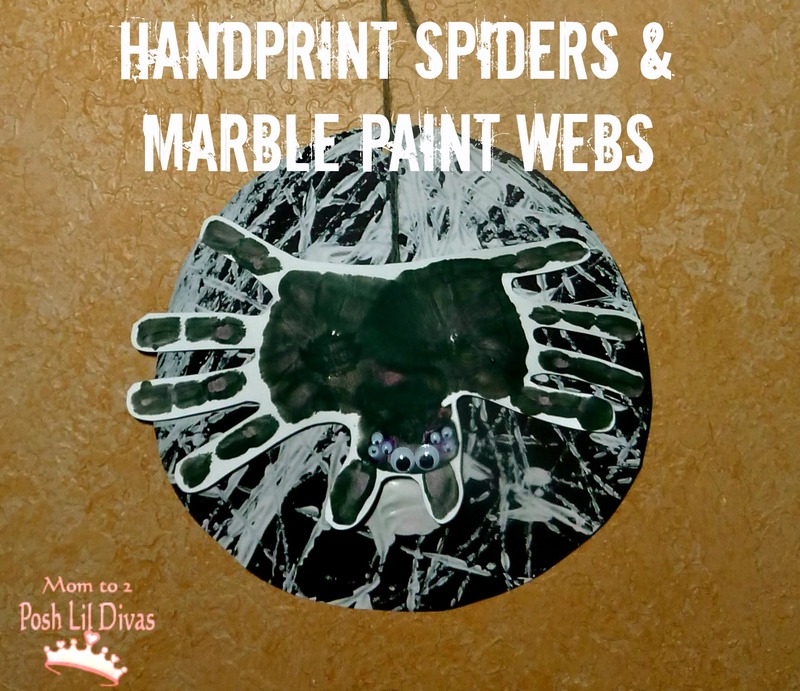 Hang to display your handprint spider & marble paint web. 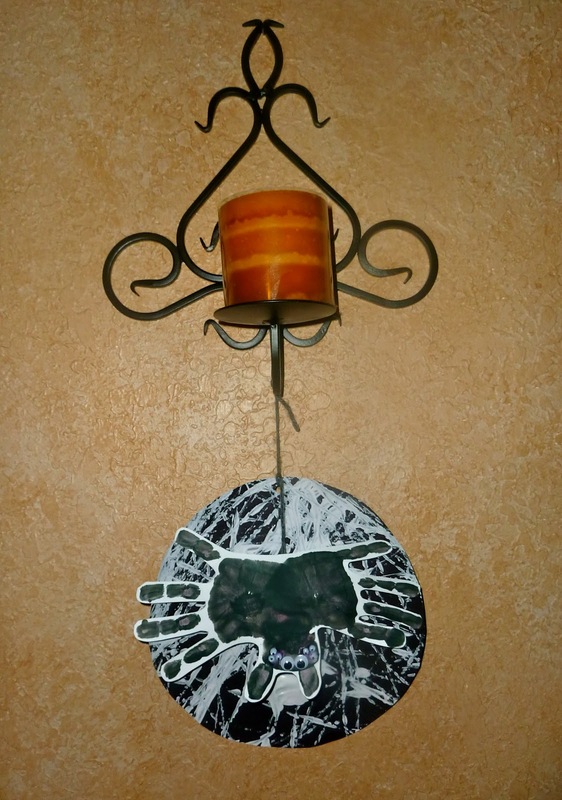 An adorable handmade decoration that is just perfect for Halloween. Today we focused on spider themed math fun. 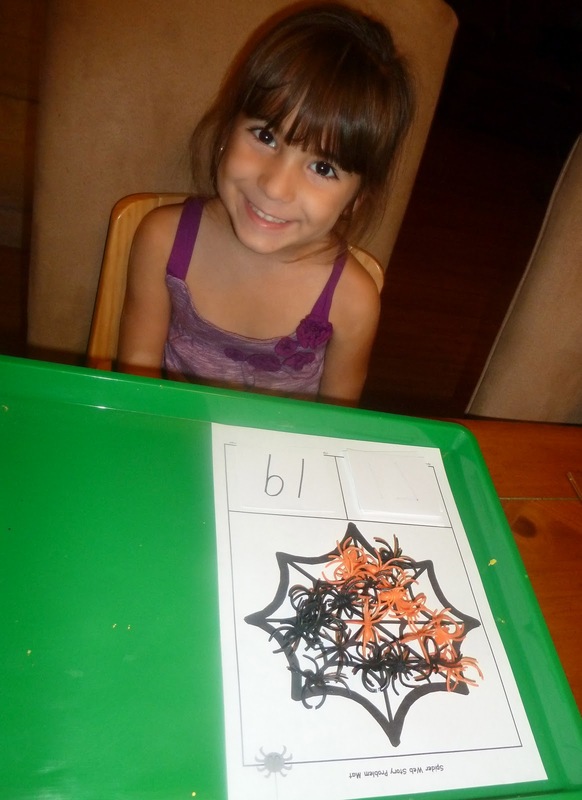 I found this fab spider web printable from Hubbard's Cupboard that I used for various Number Recognition Activities. Using this spider counting printable the Oldest Diva (Kindergartener) wrote all the missing numbers from 1 to 20. Stay tuned for more spider crafts & learning fun! I love how you made those spider webs! I like how your older daughter put 8 eyes on. Very accurate! I finally opened a Twitter account and am following you on Twitter now! Thanks for sharing, I will have to try this with my little man when he is a bit older! That spider craft is fantastic!!! We'll have to make those! Wow! Thank you for linking to Read.Explore.Learn. I really love your spider. I love the splat bit of the craft! Messy fun that looks great! I really like your hand print spiders with all the eyes! I have got to try this in the next week with my baby! Thanks for sharing on Monday Madness. Hope you come back again tomorrow! You do so many fun learning activities! I have got to try this spider web with my girls. We just bought some marble last week (no we never had any before) and they are now one of the favorite toys. What fun they would have making art with them. I am going to feature this tomorrow on Monday Madness - thanks fot sharing! Cool! 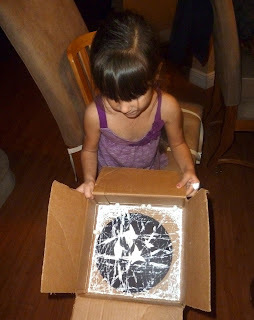 We just did some marble painting too, but used a frisbee instead of a box. thanks for sharing on momstown arts and crafts!